Greetings. 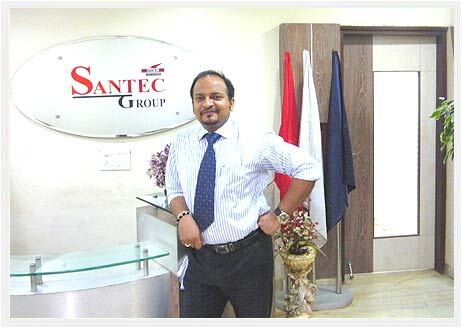 A warm welcome to you on behalf of the entire SANTEC team. First of all, I would like to express my sincere appreciation for your continous support to SANTEC. Thanks for your encouragement , SANTEC has been able to fulfill its social responsibility as the leading manufacturers, suppliers & exporters of Hydraulic Presses for all industrial applications, Rubber & Plastic machine in India. No doubt we are better than others on many aspects. Our team of professionals has high expertise and is well versed on the respective specialization. I lay more emphasis on customer satisfaction and providing right solution with great quality and full value of money . And I'm proud that my associates , suppliers , sub contractors & employees understand our motto and co-operate to carry on efficiently. Quality signifies a long service life, reliability, durability & safety. We guarantee that you obtain this quality from 'SANTEC ' because of our strict inspections throughout the design & production sequence & during the acceptance test. That is the reason, our valued customers through out the world value not only the quality & performance of SANTEC machines but also the quality of service which matches the high level of all other performances, truly reflecting our motto - maximum performance through maximum co-operation. We maintain high standards and strive hard to reach pursuit of excellence. You can always feel free to contact me directly for sharing a happy note which would be more encouraging or for sharing your grievance/suggestion/feedback which would pave the way for improvement. At last, all our employees, including my self, are committed in doing our best to serve the best machinery to our all customers. Thank you once again for your support & encouragement given to SANTEC ! !